Suntec REIT's 3Q18 DPU of 2.491 Scts (+0.3% y-o-y) in line with expectations. Suntec City Mall on a recovery path with 5% growth in tenant sales and double-digit rental reversions. Better times ahead for office portfolio on the back of rising spot office rents. We maintain our BUY call on SUNTEC REAL ESTATE INV TRUST (SGX:T82U. Suntec REIT) with a revised Target Price of S$2.12. Since early 2018, more sell-side analysts have joined us in being bullish on Suntec REIT. As there is mounting evidence of a sustained turnaround at Suntec City Mall, spot office rents maintaining an upward trajectory and underlying DPU to improve by 3% p.a. 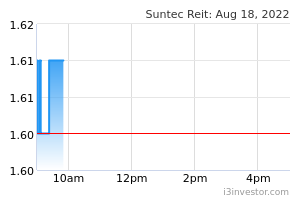 between 2018-2021, we believe more investors and other sell-side analysts will be convinced that Suntec REIT is undervalued. 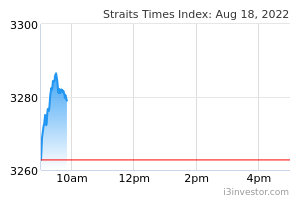 We have a street-high Target Price of S$2.12 compared to consensus Target Price of S$1.89. We believe Suntec REIT deserves to trade towards our Target Price, given office buildings and shopping malls in Singapore have been recently sold on 1.7-2.7% and 3-4% exit yields respectively, below the cap rate of 3.75-4% and 5% used to value Suntec’s office and retail properties. After incorporating a more conservative interest rate outlook, we increased our cost of debt assumptions from 3.0% to 3.5%, which resulted in our DCF-based Target Price to S$2.12 from S$2.30. In addition, after increasing Suntec REIT’s borrowing costs we lowered our underlying FY19/20F DPU by 1/4% to 8.9/9.20 Scts. Nevertheless, we expect Suntec REIT to deliver 3-year underlying DPU CAGR of 3% and maintain its guidance of annual DPU of 10 Scts over the next few years as it tops up its underlying DPU with capital distributions. We retain our bullish stance on Suntec as spot office rents are expected to maintain an upward trajectory due to limited new supply over the coming 2-3 years, translating to higher rental income going forward. In addition, we believe the turnaround of Suntec City Mall is sustainable given continued growth in footfall and tenant sales translating to robust rental reversions. With a healthy outlook, we maintain our BUY call and we expect Suntec REIT to trade closer to its book value as Target Price of S$2.12.